GEORGETOWN RUNNING CLUB: GRC 3k Record in Jeopardy? Track historians recall that a generation of sprinters regarded the 200 meter world record of 19.72 set by Pietro Mennea in 1979 as soft. Yet despite the efforts of Carl Lewis and other world beaters, the record stood until 1996, when it was finally broken by the legendary Michael Johnson. 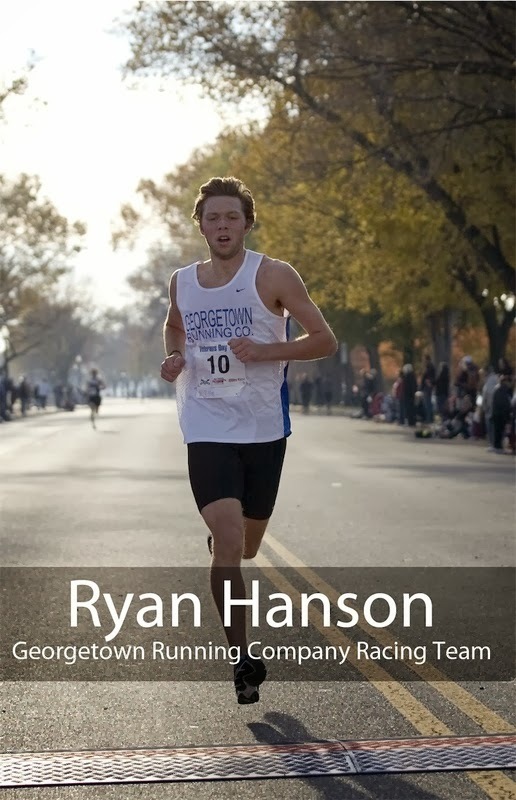 The GRC 3,000 meter record of 8:23, set in 2011 by Ryan Hanson, has also been dismissed as soft by many GRC greats, particularly because Ryan famously started his cooldown with 300 meters to go. But, like the 200 meter record, Ryan's mark has withstood multiple challenges from the best GRC has to offer. On Saturday, on the banked track at the Armory in New York, the record will be under siege once again, this time by the most highly touted GRC runner of all time, Michael Franklin. Will he, like Michael Johnson before him, make history? If we had bothered to ask the loquacious and brash Franklin for comment, he might well have said, "I guarantee that I will not only break the record, I will crush it." Will Mike back up the boastful words he might said if we had given him the chance? Coach Jerry, you're a joker!